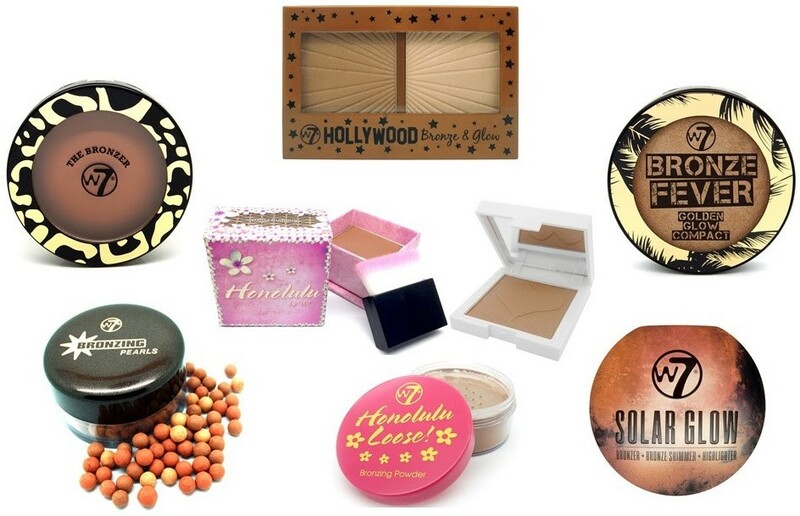 Whether it’s sunshine or rain these shimmering summer bronzers from W7 Cosmetics are perfect for that sun-kissed look. Created in 2002, W7 Cosmetics was the brainchild of two men from West London who believed that every woman should have access to the latest beauty must-haves without breaking the bank. All their suppliers mirror their own values, especially their policy to never test any products on animals – something the brand has adhered to from the beginning and regulate with passion. This is reflected in their ‘Vegan Range’ (certified by the Vegan society) where all products have been created in kitchens that are not at risk of cross contamination from animal by-products or products that are non-cruelty free. From its inception, they have continued to stay at the cutting edge of trends, creating innovative, eye catching and desirable packaging and cosmetic products of a very high quality.